Would you like your children to be thrilled with a Space Quest theme where we even built a 30 foot long space shuttle inside our Fellowship Hall? 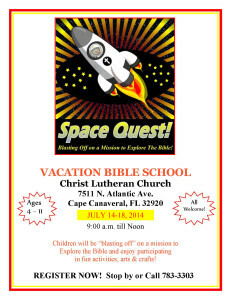 Our Vacation Bible School 2014, is a Blast Off into space adventure, as they explore God’s wonderful creation! 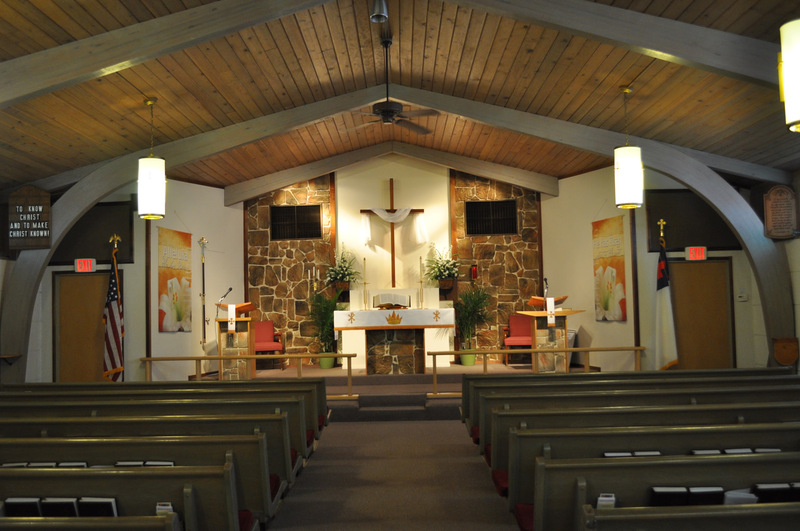 Christ Lutheran Church Cape Canaveral is very excited to teach and entertain your children with God’s word, for 5 days starting July 14th through July 18th 2014, 9:00 AM to 12:oo PM (noon). Pastor Greg with his always on passion for teaching Children, and creating the theme for VBS, and the rest of us, look forward to seeing your children once again, or for the first time, as we have Fun, Learn about God and his Holy Bible, plus enjoy snacks, and more! 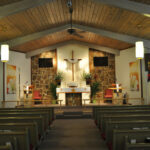 Please download our Flyer and/or Registration form here, or call the church to reserve our spot today! 783-3303.